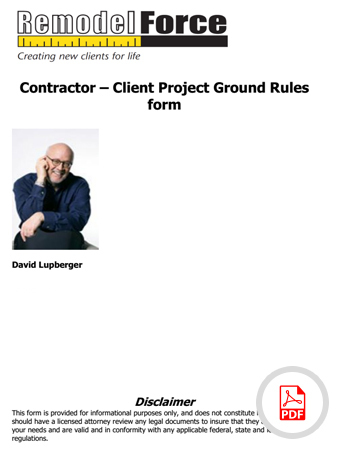 Contractor Client Ground Rules Every remodeling contractor should review this list of 16 questions to review with your client prior to starting a project. Communication is key to begin the project on a good note, a positive place to initiate expectations. Every remodeling contractor should have this list of 16 questions to review with their client before starting a project. Communication is key to begin the project on a good note, a positive place to initiate expectations.